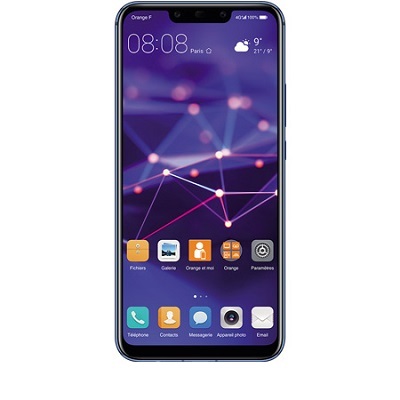 Download & Install b162 official Firmware update For Huawei Mate 20 Lite. if you own Huawei Mate 20 Lite Smartphone then You Can Download Latest Firmware update For it. B162 Firmware update For Huawei Mate 20 Lite available for all it’s users via The OTA So You Can Check For update From about_Phone/System_update Section . if you have not Yet Receive it then You can Download it From the below. b162 update For the Huawei Mate 20 Lite Come with Latest android 9.0 Pie based on EMUI 9.0 With Google Security Patches. also it Come with a Lot’s of improvement. A Complete Changelog File also attached with the Firmware You Can Check it before Download. The Huawei Mate 20 Lite Smartphone is Run on Android 8.1 OS Which is Powered by Kirin 710 Processor. The Device Come with the 4GB of RAM and 64GB of Storage. 4. Method 2 is best. dload Method only for MM Devices with SD card update. EMUI 9.0. Built on Android Pie, this Version preserves that essential Android flavor, with a twist of nature and simplicity. We’ve simplified the UI in EMUI 9.0, making it easier and more intuitive to use. EMUI 9.0 unifies, combining once separate functions into a single, streamlined experience. All of your most frequently used settings are easier to access. Never worry about forgetting another password. Just put them in your Password vault, and it will autofill your Passwords after a simple and secure identity authentication. Connect the phone with PC With HiSuite Running, wait until it Installs the mobile application and join the phone. In HiSuite, Click “Update” and agree to Install the update found. Then Cancel the Installation, go to the folder C: \ Users \% username% \ Documents \ HiSuite \ ROM . Replace files with the extension “.zip.dbk” with pre-downloaded firmware files ( update.zip, update_full_ * .zip, update_data_full_public.zip ). Again, Click “Update” and see that the firmware is loaded 100%, after which the download will Start on the Phone. Restoring the DNS settings to the original value, since during the update authentication, an error like “Server is not available” is possible. Download HuRupdater.zip and Move it to Device Storage along with update file. Go to Install and Install HURupdater.zip. Done Reboot system Now.